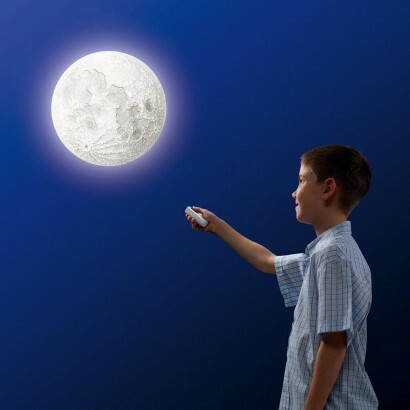 Follow the phases of the moon without even having to look out of your bedroom window with the remote controlled Illuminated Moon light. 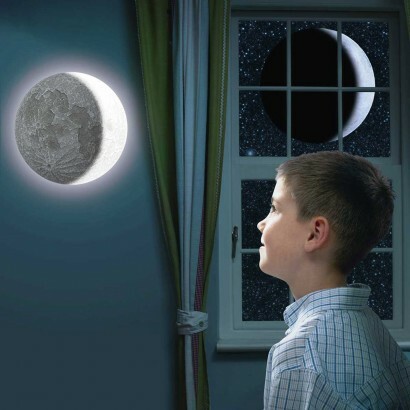 A brilliant way to get kids interested in space as well as a soothing nightlight, this detailed wall light is a replica moonscape that shines at night just like the real thing. Use the remote control to phase through the twelve illuminated lunar phases or set your moon to reflect the stage of the moon outside. 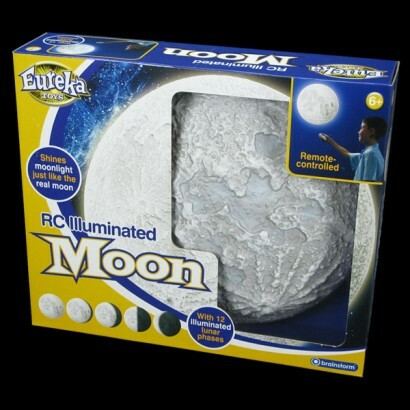 Complete with an auto shut off function, this stunning moon light makes an unusual night light that will enchant kids.